Earnest money, also known as escrow, refers to the money a buyer includes with their purchase offer to indicate to the seller that they are serious about purchasing the property. Yet, that is not the only use of the word. It can be used as a verb or a noun, even an adjective. It is used as a noun, as it is defined previously. As a verb, it means to place an item into an account. And to be used as an adjective, you may hear the term “escrow agency”, a company that has fiduciary responsibilities over a transaction. For the purpose of this blog, it means earnest money. 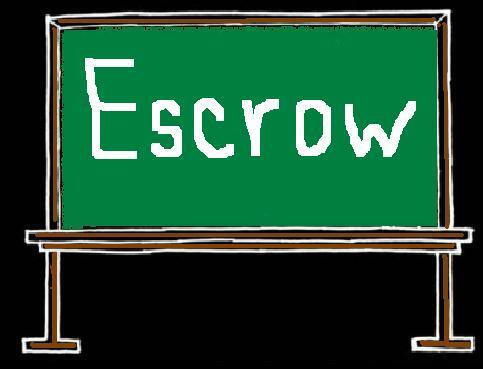 What Does Escrow Mean to You as a Buyer? Once you make an offer on a property and it is accepted, a payment is due. Though you hand the payment over to your realtor, they do not hold on to it, it goes into escrow, along with a copy of the purchase agreement. You should receive a receipt of funds and the agency will hold onto all related documents and your funds until the sale is complete. The first and most important duty of your agency is to ensure that no money changes hands until all requirements are met for the sale of the property and that it is in accordance with the law. The agency will not release any funds until the loan is approved, the real estate title search and inspections have been completed and all paperwork has been signed. Where Does Your Escrow Go? Although you wrote a check for the sellers benefit, they don’t actually receive the money. Once everything has been finalized, your escrow money will either goes towards your down payment, the closing costs, or you might even get it back. More questions on what really happens with the monies you put up for a contract? Call me today and ask….239-415-6574. Or leave a comment!!! Posted on May 25, 2012, in Title and tagged Buy a Home, Buyer, Closing, Closing Costs, Down Payment, Earnest Money Deposit, Escrow, Escrow Agency, Inspections, Jennifer Ferri, Law, Loan, Offer, Receipt of Funds, Seller, SWFL Real Estate, Title Junction, Title Search, Title Work. Bookmark the permalink. Leave a comment.